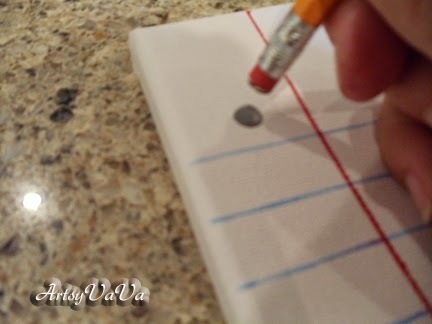 Create a unique and personal gift for very little money and in a short amount of time. 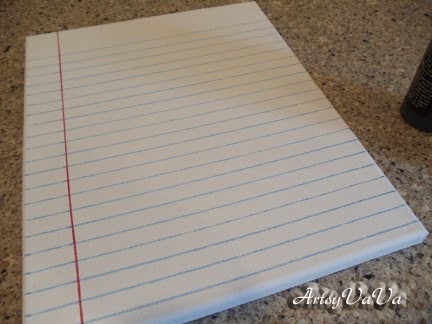 This canvas made to look like notebook paper is very easy to make. It would make a great gift for someone going off to college! 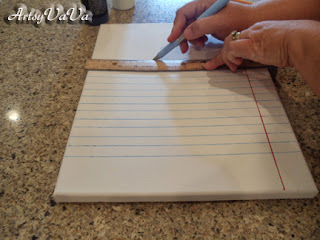 Once you have created your canvas then the recipient has it for friends to write something special on. In the picture above, my daughter, Carrie, is standing by the one I made for her. It is very large, but for this tutorial I am making one that will be 11" x 14". Check out how she has started decorating around it with sticky notes! 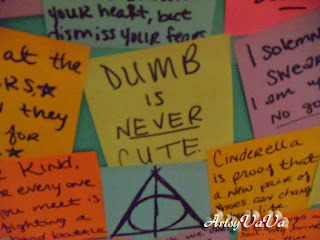 YES, sticky notes! She writes quotes or lyrics from songs on them and places them around the canvas. 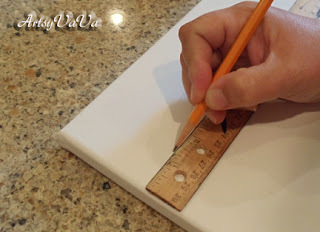 First I measured 1 1/2" from the left side of the canvas marking it with 2 small dots. 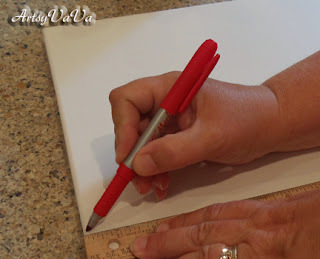 Then I used my red marker and drew a line down the length of the canvas using my 2 dots as a guide. 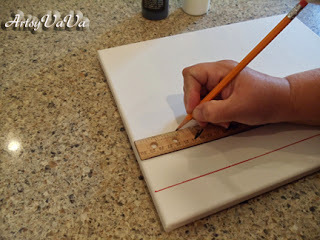 Next, I measured 2" down from the top, marked the canvas with a pencil, and then connected my marks with the light blue marker. 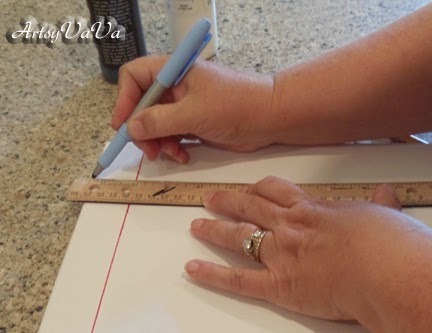 Once I had my first line drawn, I used the width of my ruler to draw the next line. The lines are too far apart if you just use the width of the ruler as a guide so I measured and drew a line half way between my first 2 lines. Using those lines as a guide, I used the width of my ruler to continue drawing the light blue lines all the way down the canvas. Looks good, huh? But what's missing? It needs holes down the side!!! 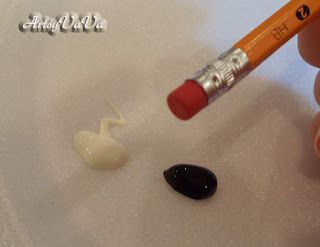 You could just use gray paint, but I used white and black and mixed them. I didn't want a solid color so I didn't mix them completely. The best way to get a perfect circle (if it doesn't have to be too big) is by using a new pencil eraser. And there you have it...canvas that looks like a big piece of notebook paper. Once it was finished, my daughter wrote, "Dear Lexy" on the top line. She is giving this one to a friend who is leaving for college. 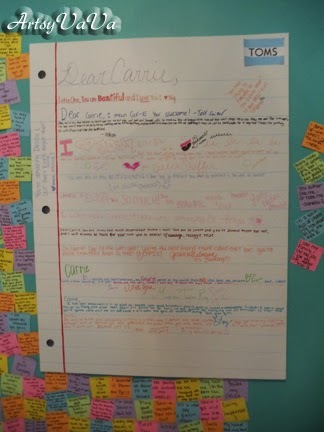 On the one I did for my daughter, I wrote, "Dear Carrie" on the top line and then her friends started filling it up with special notes to her. 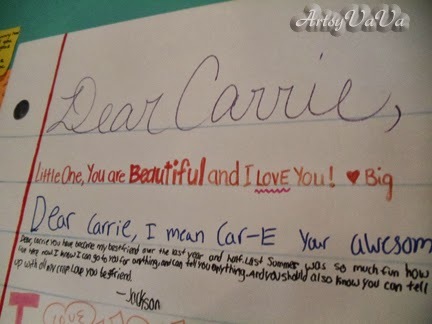 On this one for her friend, Madison, Carrie added markers to the canvas. She tied ribbon to the marker caps and then stapled the other end of the ribbon to the back of the canvas. I didn't think I would like it, but I do! Terrific! Going to make one for my daughter that is getting ready to leave for college! This would also make a cute gift for teachers. Thanks for sharing! This is soo super cute!! This is fantastic! My granddaughter is entering high school this year and I think it would be fun for her too. Thanks so much for sharing! I love your daughter's "sticky notes" ~ love quotes! Wow what a great idea. 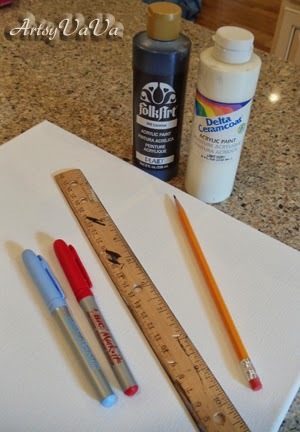 I love painting canvas and cant wait to try this out! Thanks for sharing! This is soo cute! I love how it is so easy to make but looks like it took forever. 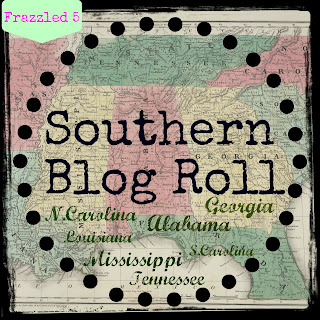 Thanks for linking up at Market Your Biz and Giveaways! This is such a cute idea!! I love how much it really looks like a huge piece of paper! Great job!! This is the best. Very cute, and great for anyone.I think I will make this for my son who is in college. Love the sticky note idea that your daughter made. I love quotes, but could never remember them, so I write them down, and then usually lose them somewhere. I think I will try something like she did. I like to look at mine everyday to remember my goals. Thanks for a wonderful idea! That is so cute. Pinning it up. Thanks for sharing. Such a great idea for any occasion! It really does look like a notepad! Your daughter will have such great notes from her friends, this is going to be kept forever! That is such a fun idea! I would've loved one of those when I went off to college! :) Stopping by from Frugalizious Fridays! What a fun idea! 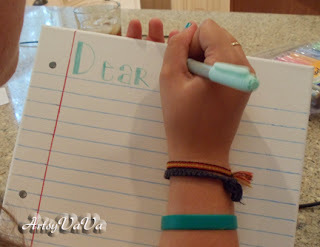 That's so cute for writing a very special letter! This is super cute! Way to encourage creativity! 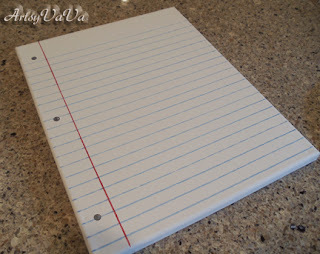 I think I am going to make a notebook canvas for my husband's closet to remind him why I fell in love with him. 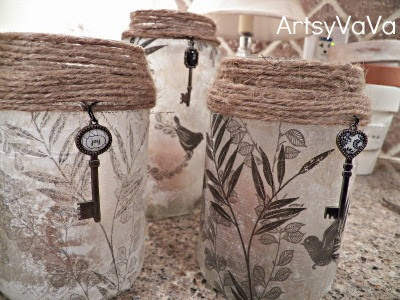 :) I would love for you to link your post up at my Savvy HomeMade blog party on Monday at HomeSavvyAtoZ.com. Dropping by from 'Sunday Showcase Party". This s such a neat idea! 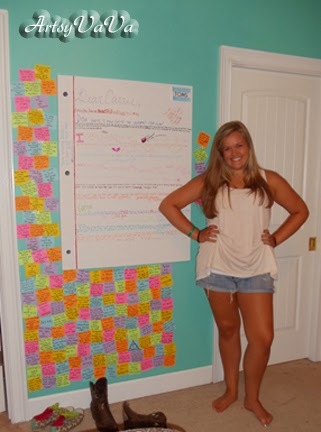 And what a great everyday reminder of how much people love you! This is one of the coolest ideas I have seen in a while. How creative! This is so fun! Thanks for linking it up! 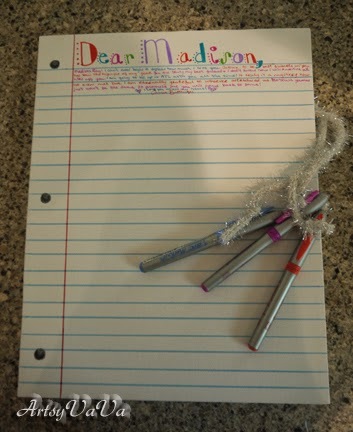 This is precious and could be adaptable even with letterhead. I love it! Cute! What a great idea. My husband is a youth minister, so I know lots of girls who would love this project. I'd love for you to stop by and add your fantastic project to our first blog party this Thursday! 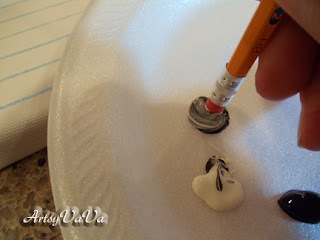 It's a party specifically for kids' and teens' craft projects and other ideas, so your idea would be perfect! Hope to see you then! OMG what a great idea!! I love it!! Thanks for linking up to Craft and Tell! totally creative and original...grat teacher/COACH gift too! that is really cute and creative!!! great job! Just wanted to let you know this will be featured at <a href="http://whilehewasnapping.blogspot.com>this weekend's linky party!</a> Make sure you come over and check it out (and grab a featured button, if you'd like). What a cute idea! Thanks for sharing. Hope to see you again this weekend. This is great! You even made the hole punches =D Thank you so much for sharing this at my Favorite Things Friday Party! I can't wait to see what you link up this week! My party is now live. I commented earlier, but again, I just want to say I love this! :) And thanks for sharing on Fancy This Fridays! I may be making my sister one of these soon! what a fab and clever idea! thanks for sharing it with us. we love it so much we are featuring it today and you also qualify for August's finest Week 2. votation starts today, do grab the featured button if you fancy so. Have a lovely weekend! OMG - what a great idea. I think I'll make one for my goddaughter who is in college. Her birthday is in a couple weeks. 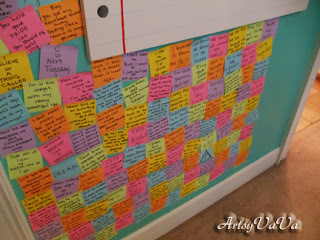 love this idea! Might try and paint the canvas with white chalkboard paint first and see if it'll work as a memo station. Thanks for an awesome idea! Very nice job. I am inspired to make one for my kids' rooms. Super clever! Can't wait to share with my readers on a school party post! You are so creative!! A true artist! I'm following for sure! I don't want to miss what you come up with! !